This Wednesday, we again head to Sandown Lakeside. The time slot is back to usual, with the first race at 1 PM, and the last race at 5:05 PM. We have an eight-race card in store for us, with the highest rated race coming second, a Benchmark 78 handicap for the fillies and mares. The weather is predicted to be 27 degrees and sunny, so get down to the track and start punting. The first on the program is a two-year-old maiden, at set weights. Like most of these two-year-old races, it’s a really open race, but I landed on Deserved. This filly out of the Matt Cumani stable has trialled brilliantly, winning both of them by a length. Her first trial, where she missed the start and still won, showed how much speed she has, which is rare for a Dundeel. She’s bred well, by Dundeel and out of Statuette, and she can run well on debut. He’ll Haunt Us ran well in a very good race on debut, behind Done By me in the Magic Millions 2YO Classic. He finished alongside The Executioner in that race, who ran second in the Vobis Gold Rush on Saturday at Bendigo. If he can repeat that performance, he’ll go very close here. Thought of That is having his first start today, out of the Maher and Eustace yard. We haven’t seen him in a public trial, but he’s bred by So You Think and he’s out of Hold Me Closer. He draws well and has to be respected on debut. Recommended bet: Backing #2 He’ll Haunt Us each way. Double figures were too good to turn down. The second on the card is the highest-rated race, being a Benchmark 78 handicap for the fillies and mares. Nearly every runner has claims in this race, but I think Private Lounge is a pretty smart Mare. She was unlucky two starts back at the Valley, when she never got a run at them, and then she went on to finish three lengths off them at Mornington last start, which just isn’t a track for back markers like her. She finds a similar race here, and she finally finds a spacious track in this preparation. There will be a good speed on up front, and she’ll hopefully be the one storming over them. Kings Brook is the big danger. She won well in a Benchmark 64 race last preparation, before finishing three lengths off them at listed level in the Twilight Stakes. She resumed in good fashion with a win at the Valley, and she has the most upside considering she’s a three-year-old. Miss Vixen has come back in pretty good order, with two seconds. She really stormed home last start over 1000 metres, and she’ll appreciate the rise to 1200. She’ll be running on if they overdo it early. Recommended bet: Win bet on #4 Private Lounge. We’ve got a Benchmark 64 handicap here in the third, over 1400 metres. I’m siding with Arty Lucas, in yet another very open race. He’s form lines from last preparation are good for this. He beat Rock Dove in a maiden, who has since went on to finish third in the Tasmanian Oaks, and he ran second to Fun Fact, who has ran well in much better races than this since. The query is the 1400 metres, and whether he’ll want longer as he matures, but he’s won at this distance before and he generally resumes well. Happy enough to have him on top. Dalswinton took a long time to break his maiden, after running into some smart types, before being outclassed behind the Closer and Winning Partner last preparation. He resumed well, running a length off sweet Snitty at Pakenham, and he maps to get a pretty good run here on the speed. Andaz finished off last preparation well, running third in the Greys race on Oaks day after travelling three wide, and he resumed well, finishing under three lengths off Won Ball. If he stays at a soft track, his chances get a lot better. Recommended bet: Win bet on #4 Arty Lucas. We’ve got yet another Benchmark 64 handicap here in the fourth, over 1200 metres. It seems a race in two here, but I’m happy enough to take the $3.20 about the marginal favourite in Golden Halo. Her form lines from last preparation, running three lengths off them at group three level, is definitely good enough to win a race like this. She resumed down the straight at listed level, behind Anjana and Krone, the latter beating Classique Legend last start. She’ll be better for that first up run, and be very hard to beat here. High Ratio is the only danger. He also finished two lengths off them at group two level last preparation, and he’s had a few runs this time in. He was narrowly beaten by a smart one in More than Exceed last start, and he maps to get a good run from barrier two. Lassiter was good on debut at Bendigo, but she does seem to be pretty big unders here in only her second trip to the races. Recommended bet: Sizeable win bet on #4 Golden Halo. The main staying race on the card comes here in the fifth, with a Benchmark 70 handicap over 2400 metres. I’m predicting a good race for the OTI team here, and I landed on their value runner in Etna. He never got a run at them two starts back at the Valley, and finished a length behind Mosh Music, who’s gone on to win another two since. He then went to Adelaide, and never got a run at them there, finishing behind Lieder and Lostarc. I don’t think there’s too much talent in this race, and with even luck he can run a big race at the $17 quote. The other OTI runner, Future Score, seems the main danger. He travelled four wide the trip two starts back, and only finished a length off Latin Beat, who is the same price here. He ran on strongly at the Hillside track last start, and he’ll enjoy the rise to 2400 metres for the first time. El Don ran well at Flemington last start behind Wetakemanhattan and Dark Pearl, and he’s another who will enjoy the 2400 metres for the first time. Recommended bet: Backing both #1 Etna and #8 Future Score. Playing exotics around #1, #8, #3, #10 and #5. A brilliant race for a Wednesday here, with a benchmark 70 handicap for the three-year-old Fillies. Very open race with some smart types going around, but I’m happy enough to take the $5.50 on offer for Zargos. I’ve always had a lot of time for this horse. She had excuses in the Carbine Club last preparation, and I thought her effort was super in the Twilight Stakes, when she had to make a long run around them from last, to eventually finish two lengths off the winner. She was unlucky resuming, behind Mystery Love who went on to win the Bendigo Guineas on Saturday. She’ll go back from barrier eleven, and she’ll appreciate the rise to the mile. Hard to beat. 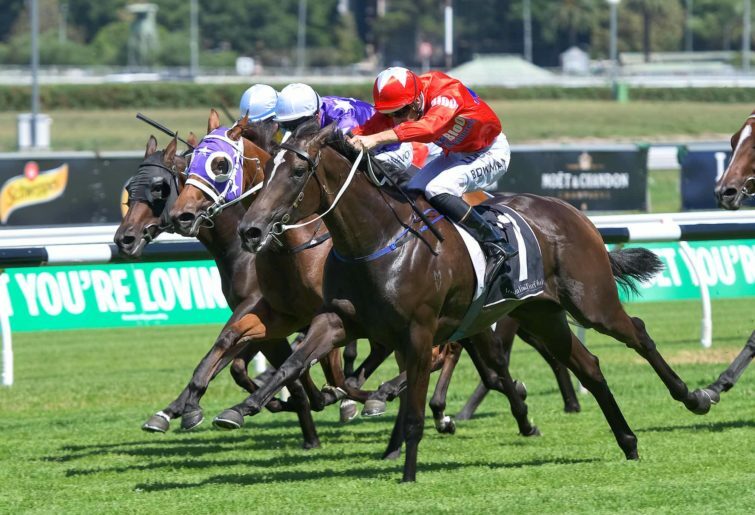 Liveinthefastlane was good winning a Benchmark 64 handicap two starts back, before being outclassed behind Pohutukawa in a good form race in Sydney. She maps well from barrier five, and will be hard to get past. Dark Confidant ran in better races than this last preparation, like the Victorian Oaks, and she resumed winning arrogantly at Kyneton. She’ll go back from the wide gate, but she’ll be running on strongly. Recommended bet: Each way bet on #6 Zargos. Playing exotics around #6, #2, #3, #1 and #7. We’ve got another Benchmark 70 handicap, this time over the mile. It’s practically a two horse race this, and I’m happy enough to take on the favourite, and I landed with Adana on top here. He should have arguably finished closer to them in the CS Hayes Stakes, and then the Australian Guineas in his next start. He worked home solidly in the Alister Clarke last start over 2000 metres, but he comes back to the mile now, and he draws well from barrier four. I think the $3.80 is overs for him in this field. Scramjet is the obvious danger. He’s been very impressive in his first two starts, winning at Gawler by a length, and then coming to Bendigo to win by three. He’s going to be a very good horse, but I just can’t take evens considering it’s his first time at this level. He ran in a pretty poor Class 1 race last start. Weapon had a much-improved run last start behind Won Ball, and he’ll appreciate the rise to the mile today. Recommended bet: Win bet on #10 Adana. The ‘lucky last’ on the program comes here, with a Benchmark 64 handicap for the three-year-olds. It’s a very open race here in the last, but I’m happy taking the $6 on offer for Big Night Out. The John Sadler camp clearly think a lot of this gelding, running him in listed races in the spring, where he ran two lengths behind Ringerdingding. He looks like he’s came back in good order, after storming home to finish a length off more Than Exceed resuming. There should be a solid tempo on up front, which will allow for him to be storming over them late. Going to be saving on Igniter. His form lines are brilliant for this. He ran into Mr Quickie last preparation, where he went down by five lengths, before finishing two lengths off Declares War. He should get a nice spot on the speed, and he’ll be hard to run down. Ronan’s Rock beat Little Phoenix with ease two starts back who I think has talent, and then ran home solidly at the Valley behind Wonderful Riri last start. He’ll go back from the wide gate, and be another who is running on. Recommended bet: Each way bets on both #6 Big Night out and #10 Igniter. Race four #4 Golden Halo.